2012 is here, and we’re ready. 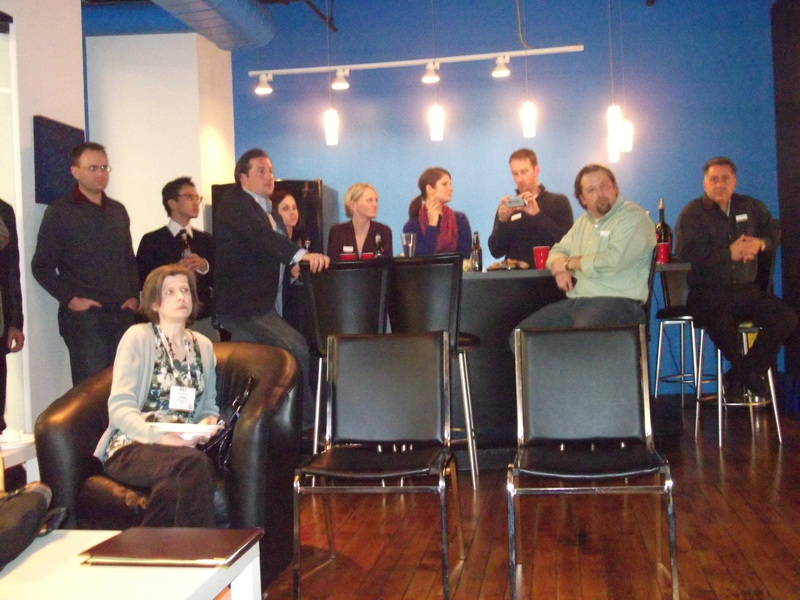 Cleveland HubSpot User Group (HUG) kicked off the holidays with HubSpot Enterprise and members from local inbound marketing, digital, and creative firms. Hosted by PR 20/20, HubSpot’s first VAR firm, HUG members had the opportunity to hear from Chris O’Donnell, HubSpot Product Manager for the contacts (MOFU/leads) team, and former Head of Product Development at Performable. For the first time in Northeast Ohio, three certified HubSpot VARs were present, and it was good to see new and old faces. 2012 will be a year of results: Firms will continue to be driven by data and disruptive technologies, that will shift the focus from outputs to outcomes. Efficiency and productivity rule: Performance indicators demand that specialists remain well-versed in a host of converging media industries. Sales and Digital will continue to converge as lower overhead costs, higher performance metrics and limitless economies of scale for startups will transform the landscape. Silos are so 2000 and late. PR, marketing and traditional advertising, branding and communications firms will collaborate with creative, technology and digital in profound ways. Mergers and acquisitions will fuel the rise of complementary, full-service agencies that benefit from diverse and dynamic revenue streams. Immersion and integration will no longer be an option — across partners, clients/customers and channels. Technology software, platforms and tools drive the market, and those that provide integrated solutions across PR, social, seo, content, web and brand will be best positioned to thrive. A/B testing and mobile (especially games and apps) will lead emerging, “intuitive” services. Particularly fascinating to me, of course, was our discussion regarding HubSpot Enterprise and its implications for social and seo intelligence. One of the highlights of the night was when O’Donnell mentioned testing messages. He elaborated on the effect of trying different offers that meet people at a precise touchpoint along the buying cycle : fear-based, description-based and promise based. So many of us get mired in strategy and tactics: We focus on products, pretty websites or image placement – get lost in a rabbit hole of bells and whistles, rather than simply implementing and continually testing what our readers, subscribers and qualified leads are looking for. Which is why guys like Chris, Google and HubSpot are around to jar our memory: it’s in the data. Enterprise seems to be taking notes from Facebook, especially in the context of a “frictionless” user-experience: Intelligence driven by consumer behavior. Bernays would be pleased: psychology and philosophy’s here to stay. Beyond what we say, to how we say it. Understanding not just what we do, but what we don’t do. Pretty cool. Emotional and practical intelligence are vital differentiators because they are genuine and human, and impart identity to personal and organizational brands. Accurately predicting consumer behavior in 2012 will depend on professionals willing and able to adapt, take calculated risks and truly reflect the minds of their audiences, across channels. If performing is the new doing, then being is the new thinking. *Special thanks to Dia Dalsky for hosting, Chris O’Donnell and Chris Knipper, Founder & President at Kuno Creative for sharing success stories thus far with HubSpot Enterprise. And to end where much of this began, congratulations to Paul Roetzer on his new book, The Marketing Agency BluePrint. We’re proud of you.